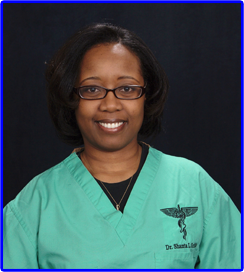 Dr. Shanta L. Griffin is a Mississippi native and an alumnus of the University of Memphis. Dr. Griffin graduated from Dr. William Scholl College of Podiatric Medicine in Illinois, where she also received a Master's degree in Healthcare Administration and Management. She then went on to successfully complete a two year Podiatric Medicine and Surgery residency in Alabama. 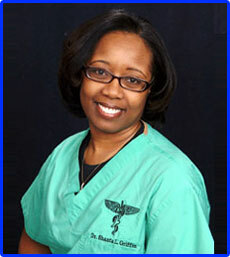 Dr. Griffin returned to Memphis in 2010 and has been happily providing exceptional foot care to those in the mid-south area. Establishing Artineli Foot Care Solutions has long been the dream and goal of Dr. Griffin. It was an absolute blessing when the doors were finally ready to open in January 2014. We are in the heart of the Medical District of Midtown Memphis. Our mission is to provide high quality care for foot and ankle ailments in a warm, professional, and friendly environment. We do this by treating everyone like family. All are welcome at Artineli Foot Care Solutions because everyone experiences foot problems at some point or another. We hope to alleviate painful symptoms, as well as, educate the public about proper foot care. Our purpose is to improve lives, one foot at a time. Dr. Griffin is affiliated with Saint Francis and Baptist Metro hospitals, as well as, East Memphis and Baptist Desoto surgery centers.